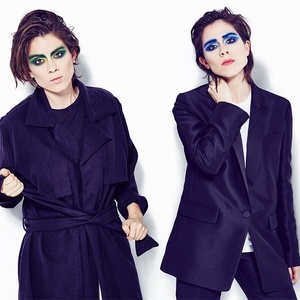 Tegan and Sara have announced they are marking the 10th anniversary of the release of their fifth studio album, The Con, with a special North American tour. The duo will perform acoustic and intimate arrangements of all 14 of the album’s songs, followed by a selection of fan favorites. A portion of tour proceeds will benefit the Tegan and Sara Foundation, which fights for economic justice, health and representation of LGBTQ girls and women. The Con – which Tegan and Sara co-produced with Chris Walla, a founding member of Death Cab for Cutie – was both an artistic and commercial breakthrough. It was Tegan and Sara’s first release to chart on the Billboard 200 (entering at No. 34) and also their first to appear on the Alternative Albums and Top Rock Albums charts. In the band’s native Canada, The Con peaked at No. 5 and was nominated for a Juno Award and a Polaris Music Prize.